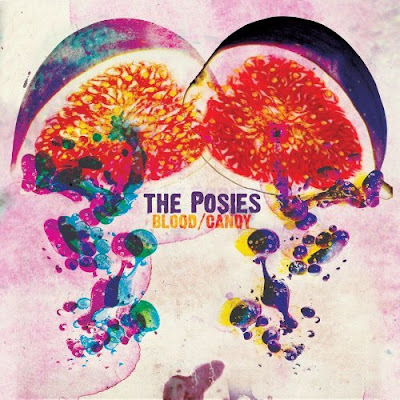 Power pop fans have been anticipating a new CD from The Posies since the band began actively touring again last year, and Blood/Candy isn’t likely to disappoint them. Founding members Jon Auer and Ken Stringfellow are at the top of their game here, and they’ve also expanded their repertoire. It’s a safe assumption that Auer and Stringfellow didn’t approach this project with any preconceived notions of what a Posies CD should sound like. There are songs on Blood Candy, like “So Caroline,” and “Notion 99,” that fit the classic Posies mold, and they even hark back to their Dear 23 days with the Hollies-influenced “Cleopatra Street.” But “Licenses To Hide” and “For The Ashes” sport more adventurous arrangements, and the orchestrated “Accidental Architecture” could have sprung from a Broadway musical. The Posies also toss in the acoustic “Holiday Hours” and the gorgeous but oddly named “Enewetak,” which evokes Pet Sounds era Beach Boys.